An Arizona bill that would eliminate state capital gains taxes on gold and silver specie, and encourage its use as currency, passed an important House committee today. Final approval of the legislation would help undermine the Federal Reserve’s monopoly on money. Rep. Mark Finchem (R-Tucson) introduced House Bill 2014 (HB2014) on Jan. 9. The legislation would eliminate state capital gains taxes on income “derived from the exchange of one kind of legal tender for another kind of legal tender.” The bill defines legal tender as “a medium of exchange, including specie, that is authorized by the United States Constitution or Congress for the payment of debts, public charges, taxes and dues.” “Specie” means coins having precious metal content. In effect, passage of the bill would “legalize the Constitution” by treating gold and silver specie as money. HB2014 passed the House Ways and Means Committee by a 5-0 vote, with four members abstaining. Under current Arizona law, gold and silver are subject to capital gains tax when exchanged for Federal Reserve notes, or when used in barter transactions. If the purchasing power of the Federal Reserve note has decreased due to inflation, the metals’ nominal dollar value generally rises and that triggers a “gain.” In most cases, of course, the capital gain is purely fictional. But these “gains” are still taxed — thus unfairly punishing people using precious metals as money. Passage of HB2014 would allow Arizonans to deduct the amount of any net capital gain derived from the exchange of one kind of legal tender for another kind of legal tender or specie (gold and silver coins) from their gross income on their state income tax. 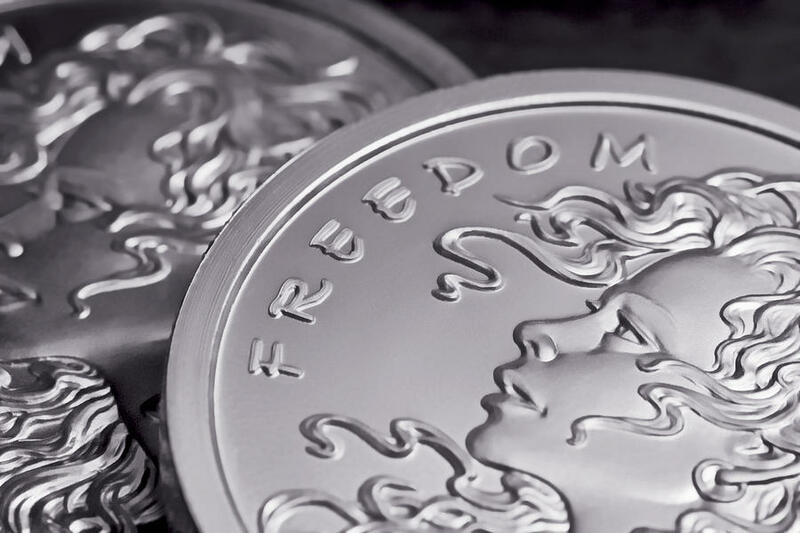 In other words, individuals buying gold or silver bullion, or utilizing gold and silver in a transaction, would no longer be subject to state taxes on the exchange. Passage into law would mark an important step towards currency competition. If sound money gains a foothold in the marketplace against Federal Reserve notes, the people would be able to choose the time-tested stability of gold and silver over the central bank’s rapidly-depreciating paper currency. The freedom of choice expanded by HB2014 would allow Arizona residents to secure the purchasing power of their money. Currently, all debts and taxes in Arizona must be paid with either Federal Reserve Notes (dollars), authorized as legal tender by Congress, or with coins issued by the U.S. Treasury — very few of which have gold or silver in them. The Arizona bills take a step towards that constitutional requirement, ignored for decades in every state. Such a tactic would undermine the monopoly or the Federal Reserve by introducing competition into the monetary system. Professor William Greene is an expert on constitutional tender and said when people in multiple states actually start using gold and silver instead of Federal Reserve Notes, it would effectively nullify the Federal Reserve and end the federal government’s monopoly on money. HB2014 now moves to the House Rules Committee where it must pass by a majority vote before moving forward in the legislative process. 5 Comments on "Arizona Committee Passes Bill To Support Sound Money"
Why, so they can steal it at all the jolly good checkpoints? It’s early days still, yet I pray that this bill becomes law. It’s simply self-defense against the planned destruction of our nation by the bankster NWO cabal. Arizonans need to be more focused on the increasing use of fluoride and vaccines. Yes we definitely need more fluoride and vaccines! Our $1.00 from 1913 when the Fed Reserve Act was passed is now worth $0.03 largely due to monetizing Federal expenditures. It is no secret that politicians have always been looking for more and more Federal money to spend in their districts, etc. They do this to get reelected. If they have to choose between taxing their constituents for that money or just having the Federal Reserve print some up they will always choose printing money which is called “fiat money”. The tax comes as more fiat dollars chase the same amount of goods so the price of everything gradually goes up but the consumer does not connect the dots that this is just another tax that is hidden from them. Using real gold instead of fiat money is a solution to the problem but it has a cost in that there is less fake wealth to spread around for development.